North Korea is on something of a website roll at present. The online Manmulsang e-commerce portal launched a few weeks ago, last week it opened DPRK Portal and this week it’s a foreign trade portal. The site says its run by the Ministry of External Economic Relations and has launched in Korean, English, Chinese and Russian and is highlighting a handful of goods available from North Korean suppliers and over $500 million in investment “opportunities” in the country. Its launch comes at an interesting time as Kim Jong Un has pegged economic development as a major goal for the country, as South Korean companies are weighing projects that could help relations between the two Koreas but as the international community has some of the strictest sanctions ever on the country. Among the investments being solicited is US$323 million to renovate the Wonsan to Mt. Kumgang railway, US$100 million to modernize the Songdowon Hotel in Wonsan, up to US$10.4 million for a new hydro-electric power station and US$2.6 million for a restaurant in Kangwon province. Several other major projects, including a 10,000 square meter shopping mall, have no price yet attached. But any would-be investors in North Korea would do well to read the history of projects such as Orascom’s investment to build a 3G cellular network. It was an initially a huge success but faltered when Orascom attempted to pull profits out of the country. Currently, Orascom still counts the joint-venture as a subsidiary but has admitted that it’s lost control of the business to the North Korean government. It’s not the only tale of woe for investors who were attracted by potential wealth in the country. 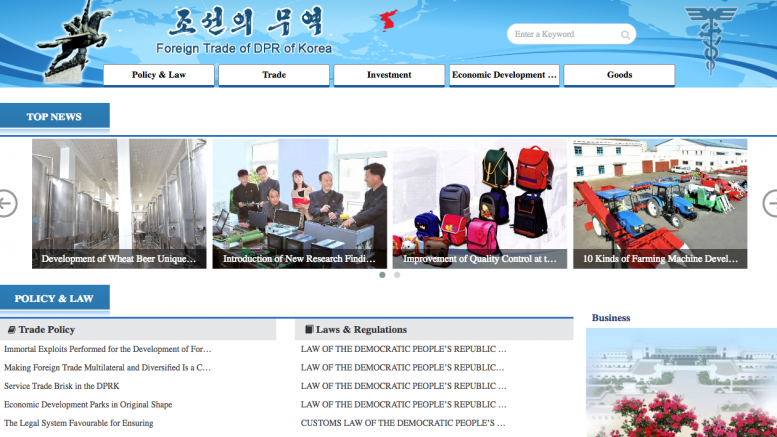 1 Comment on "North Korea launches another new website, this time for international trade"